In the early 1830s, William Benbow began advocation his theory of the Grand National Holiday. Benbow argued that a month long General Strike would lead to an uprising and a change in the polical system. Benbow used the term "holiday" (holy day) because it would be a period "most sacred, for it is to be consecrated to promote the happiness and liberty". Benbow argued that during this one month holiday the working class would have the opportunity "to legislate for all mankind; the constitution drawn up... that would place every human being on the same footing. Equal rights, equal enjoyments, equal toil, equal respect, equal share of production." Benbow's theory was published in a radical newspaper, the Tribune of the People and in a pamphlet, Grand National Holiday (1832). Benbow convinced George Julian Harney of the wisdom of the plan and with his help, he convinced the Chartist National Convention to call for a Grand National Holiday on 12th August, 1839. Feargus O'Connor, argued against the plan but was defeated. Harney and Benbow toured the country in an attempt to persuade workers to join the strike. When Harney and Benbow were both arrested and charged with making seditious speeches, the General Strike was called off. Harney was kept in Warwick Gaol but when he appeared at the Birmingham Assizes the Grand Jury refused to indict him. Disappointed by the rejection of his policy, George Julian Harney moved to Ayrshire, Scotland. 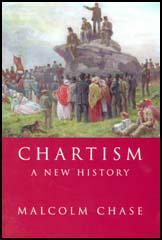 Harney's exile did not last long and the following year he became the Chartist organizer in Sheffield. In 1842 Harney joined Thomas Copper in calling for a general outbreak of strikes. 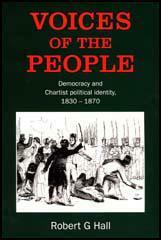 These strikes led to fifty-eight Chartists, including Harney and Cooper, being arrested and charged with sedition. At the 1848 Kennington Common meeting, William Cuffay, one of the leaders of the London Chartists, called for a General Strike. Cuffay, like Harney, believed this would eventually result in an armed rising. A government spy called Powell joined Cuffay's group in London. Based on the evidence acquired by Powell, Cuffay was arrested and convicted and sentenced to be transported to Tasmania for 21 years. George Julian Harney's talent was best displayed when he wielded the pen; as a speaker he never came up to the standard of third class orators. The more knowing politicians adjudged him to be a spy, but there was no ground for such a supposition. Many a young man of inflexible honesty has been as foolish in his day as was George Julian Harney. Harney appeared to think that nothing but the most extreme measures were of the slightest value. He was for moving towards the object by the speediest means, and he seldom, if ever, stopped to calculate the cost. It might serve very well for men who wanted a reputation for bravery to deal out high sounding phrases about death, glory, and the like; but no body of men have the right to organise an insurrection in a country, unless fully satisfied that the people are so prepared as to hold victory in their very grasp; and a conviction of such preparedness should be founded on better evidence than their attendance at public meetings, and cheering in the moment of excitement the most violent and inflammatory orator. We believe that the naming of the 12th August was a most ill-judged and suicidal act. To fix the general holiday to begin on the 12th August, would be to involve the whole cause in ruin and confusion - which would place us in circumstances of difficulty, from which we should emerge only through blood and fire, or chains and slavery more dire than any we have yet known. The country is not fit for it; there is no state of adequate preparation; there is no proper organisation amongst the people; they are not able to act in concert with each other. If the suggestion of a month's general holiday be now persisted in and attempted to be acted on, the consequences will be, the splitting of people into sections, and their falling, one section after another, like the divided bundle of sticks, an east prey to the power of their oppressors. There are men earning 15s, 20s, 25s and 30s a week. I ask, will those men be likely, in a body, to keep the Sacred Holiday? I say not; and, if not, who will be sacrificed? The answer is easy. The most determined, resolute, and oppressed. In September, the London Chartists were brought to trial and were indicted for conspiring to levy war against Her Majesty. A number of witnesses were called, the principal being the spy and informer, Powell. Cuffay objected to being tried by a middle-class jury, and demanded, according to the provisions of Magna Charta, to be tried by the jury of his peers. On the evidence of these villainous spies of a more villainous Government, Dowling, Cuffay, Fay and Lacey, were found guilty. On being brought up for judgment, Fay said, "It must be evident to everybody that Powell was committing perjury in all he stated. It is useless to say more." Lacey declared that he never had the slightest intention to carrying out the Charter by violence." (5) William Cuffay, statement in court after being found guilty of conspiracy. I say you have no right to sentence me. Although the trial has lasted a long time, it has not been a fair trial, and my request to have a fair trial - to be tried by my equals - has not been complied with. Everything has been done to raise a prejudice against me, and the press of this country - and I believe of other countries too - has done all in its power to smother me with ridicule. I ask no pity. I ask no mercy. I expected to be convicted, and I did not think anything else. No, I pity the Government, and I pity the Attorney General for convicting me by means of such base characters. The Attorney General ought to be called the Spy General. I am not anxious for martyrdom, but after what I have endured this week, I feel that I could bear any punishment proudly, even to the scaffold.